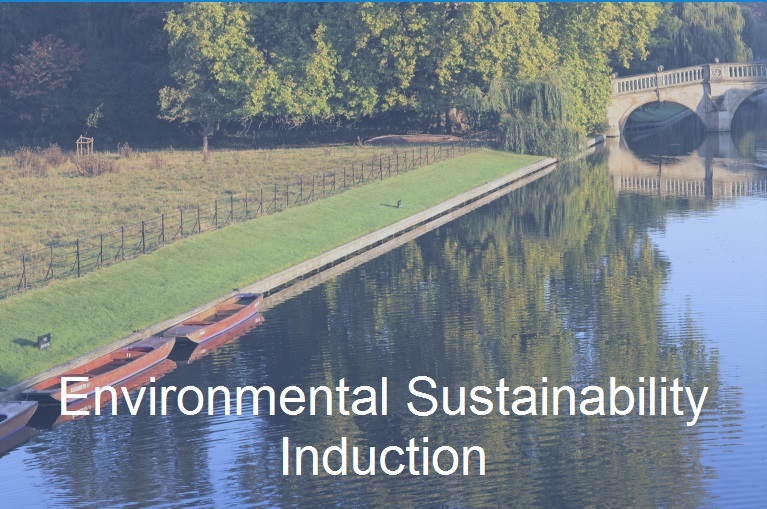 The Environment and Energy section have developed an online Environmental Sustainability Induction module to educate staff about sustainability at the University of Cambridge. The module will take 20 minutes to complete and you can access it by clicking on the image below. Clicking on the image will bring you to the Univerity's training site. Once you book on the course this information will be included in your training record. The course is delivered through moodle; you will need input your Raven ID and password to access the course. All new staff are required to complete the module to meet the requirements of the HR24 form.